BIRTH project is the first ERC project in Serbia, and therefore it has attracted huge public attention. All relevant news outlets in Serbia have reported the news about the BIRTH project and conducted interviews with PI. This resulted in 23 articles in daily news journals, 6 interviews in monthly journals, 5 radio interviews and 8 TV appearances, and more than 50 web news. Since the announcement of the grant, BIRTH project has been attracting significant attention both among the academic community and the general public, due to its very important topic and the fact that it is the first ERC grant in Serbia. 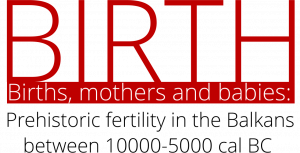 BIRTH project became one of the most important news in Serbian science, and the information about the project and the receival of the ERC grant has been published on the website of the Ministry of Education, Science and Technological Development of the Republic of Serbia, Government of the Republic of Serbia, University of Belgrade, and Centre for Promotion of Science, and from there republished on multiple web portals.